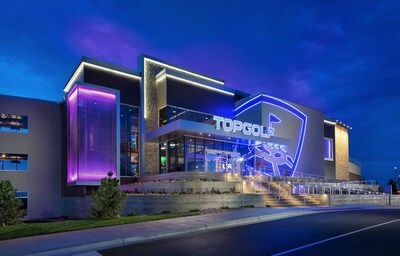 WASHINGTON, April 1, 2019 /PRNewswire/ -- Global sports entertainment leader Topgolf® today announced hiring plans for its 55th location, which will open early summer 2019. Approximately 500 new jobs have been posted online at topgolf.com/careers, and MISSION: Ambition auditions begin in three weeks. "We are so excited to provide 500 jobs to the Washington D.C. area," said Topgolf National Harbor Director of Operations Sean Crofton. "Topgolf is everyone's game and everyone's workplace, we look forward to meeting the talented candidates this city has to offer." 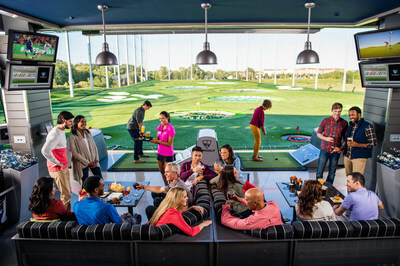 Topgolf National Harbor is located at the intersection of Clipper Way and Oxon Hill Road. Recruitment events will take place offsite, and the location will be displayed online upon applying. Hired associates for the new 65,000-square-foot venue will receive free Topgolf game play, food and beverage discounts, plus the opportunity to obtain medical, vision and dental insurance and participate in a 401(k) retirement savings program. Topgolf is a global sports entertainment community creating great times for all. With a worldwide fan base of nearly 100 million, Topgolf prides itself on its special blend of technology, entertainment, food & beverage, and the inherent good that can be accomplished when people from all walks of life come together. The original brand expression of this togetherness is the Topgolf venue. These multi-level complexes feature high-tech golf balls and gaming, climate-controlled hitting bays, a renowned menu, hand-crafted cocktails, corporate and social event spaces, music and more. The 53 U.S. venues, including four international venues, entertain more than 17 million Guests annually. Beyond the venues, Topgolf fits seamlessly into the lives of our engaged community with emerging brands such as Topgolf Swing Suite, a luxury simulator experience; Toptracer, real-time golf ball tracking as seen on TV; Toptracer Range, bringing the tracing technology to driving ranges around the world; and WGT, the world's largest digital golf audience. As a growing lifestyle brand, Topgolf has also launched new ways to engage and delight our Guests through original content series, pop up social experiences like Topgolf Crush, and through our Nashville concert hall, The Cowan.